With support from the Heritage Lottery Fund Collecting Cultures programme, Seven Stories is now home to much-loved material surrounding significant milestones in Nick’s career, most notably the original illustrations for Jaqueline Wilson’s novels, including the iconic artwork for The Story of Tracey Beaker and Hetty Feather. “Nick Sharratt’s deceptively simple graphic style makes him instantly recognisable, not only as the illustrator of numerous Jacqueline Wilson titles but also for his own picture books. As well as donating his archive, Nick and author Pippa Goodhart have also dedicated their latest book, You Choose in Space, to Seven Stories. This will be the first time a book has been dedicated to the Centre. Join author Pippa Goodhart and illustrator Nick Sharratt as they celebrate new book You Choose in Space, which is dedicated to Seven Stories! Head on up into the attic to hear a very special reading of the book, to play space-themed games and to draw-along with Nick. Fancy dress encouraged – astronauts and space monsters most welcome! Supported by Penguin Random House. For families. 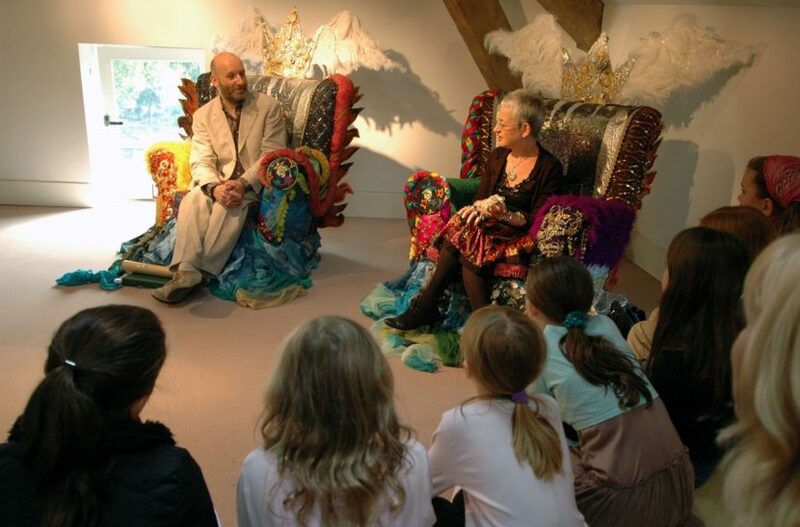 To celebrate the publication of new book You Choose in Space illustrator Nick Sharratt – and loyal Seven Stories supporter – hosts an event looking at his children’s book cover designs. Hear Nick talk about his working process and portfolio to date and watch as he demonstrates his talent for drawing before trying your hand. With a unique opportunity afterwards to view original drawings from the Nick Sharratt Collection, donated earlier this year to Seven Stories. For young adults. You Choose in Space by Nick Sharratt and Pippa Goodhart will be published on 21 September 2017.